What exactly is the smart grid? As ASHRAE defines in their article, “the smart grid effort underway around the globe will transform the fundamental structure of the grid by combining an intelligence infrastructure with the grid, which will enable two-way flow of both information and electricity.” To put it simply, the smart grid is an upgraded and modernized version of our current energy grid, which is a network of power transmission lines, substations, transformers and other conduits to transport power to homes and businesses. By adding two-way communication between utility companies and end users, along with monitoring technology such as submeters, the smart grid will be able to better manage energy usage demands. What Will the New Standard Do? 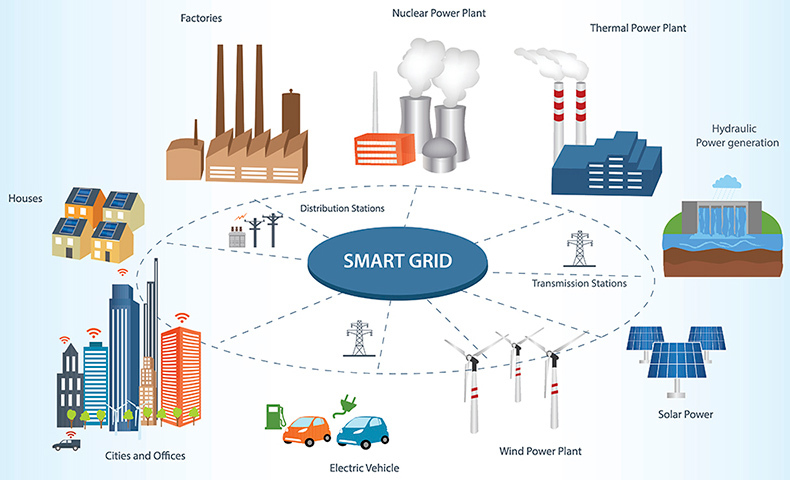 This developing guide, Facility Smart Grid Information Model (or FSGIM), provides “a common framework to guide the development of control technologies so that they can meet the control needs of a smart grid environment.” This will allow technology manufacturers to drive their innovations toward standard features and capability requirements that will support the developing smart grid. This includes submeters, communication hubs and other monitoring equipment. Publication of the new standard is set for this June, 2016. For more information and to obtain your copy of the new FSGIM standard, visit ashrae.org. The VerifEye line of submeters, communication hubs and software solutions was designed to meet current energy code metering guidelines, such as Title 24’s minimum requirements for electrical load metering and disaggregation of loads requirement. The ever-evolving line also meets FSGIM guidelines for the future of smart grids. VerifEye solutions are scalable for any sized project, from single office suites and classrooms up to high-rise mixed use buildings and school campuses. As we prepare for the future of energy usage and smart grid design, trust the company that has been innovating the way forward for over a century.